As we head into cold and flu season, take the stress out of caring for your little ones with these great gadgets from Vicks and Exergen TemporalScanner! 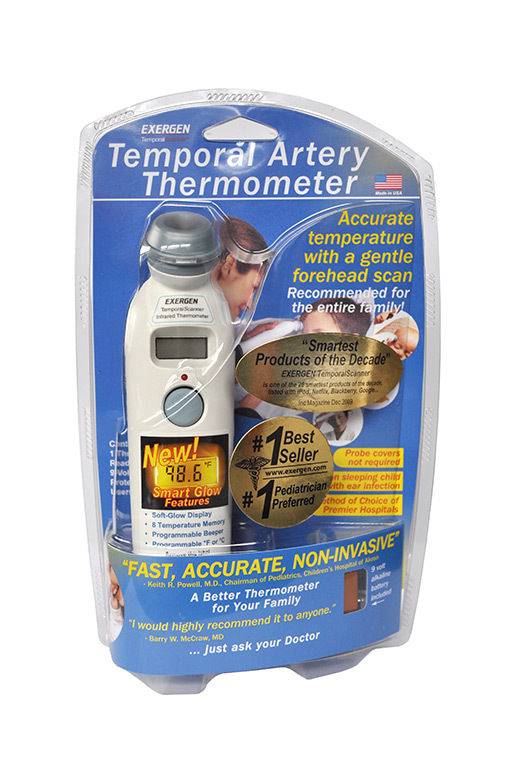 Exergen Temporal Scanner introduces the Exergen Smart Glow TemporalScanner™, ideal for parents who are caring for a sick child. Made in the United States, the Exergen Smart Glow TemporalScanner™ is the number one preferred thermometer by both nurses and pediatricians, and is backed by more than 50 clinical studies proving its accuracy. 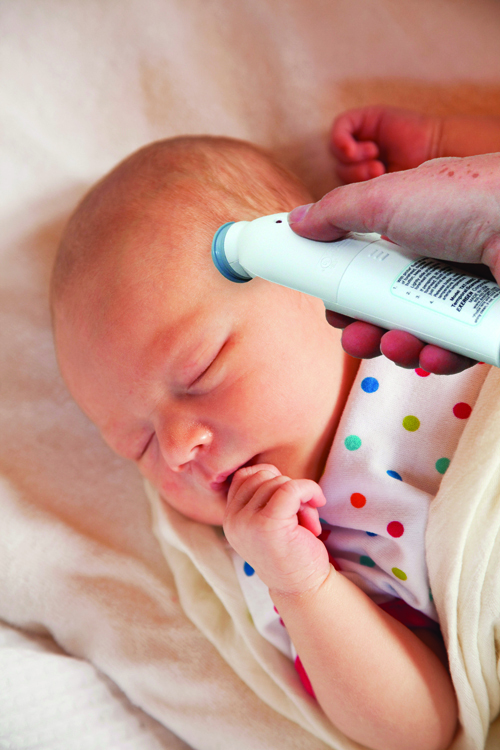 Sold in major retailers including Wal-Mart, Target, Walgreens, Rite Aid, Costco, Babies “R” Us, Toys “R” Us, Kroger and BJ’s, the Smart Glow thermometer’s suggested retail price is $49.99. The trusted brand Vicks has launched new devices this year to make cold and flu season a bit easier for families. The new gadgets include a smart thermometer that allows the entire family’s health to be monitored from an iPhone and a sleek humidifier that projects animals, stars and more on kids’ ceilings. 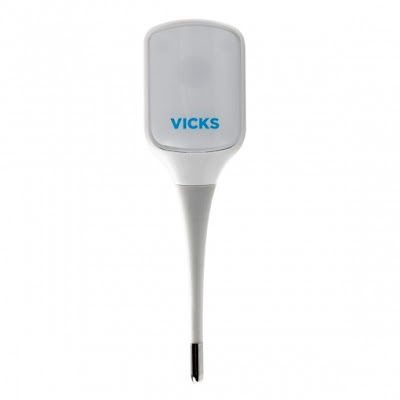 The Vicks SmartTemp is the first wireless, Bluetooth enabled digital stick thermometer from a major Mom brand. Designed to meet the demands of today’s connected parents, the SmartTemp makes tracking multiple temperatures easier than ever with a free companion app. Readings are automatically populated from the thermometer via a Bluetooth connection, while symptoms, medications and other notes can be added to help monitor an illness. All of the data can then be saved and exported via email for easier communication with the doctor. 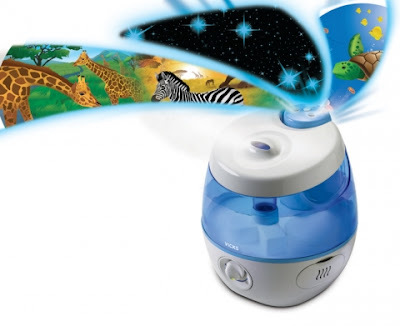 The Vicks Sweet Dreams Humidifier takes all of the congestion relief and comforting power of a cool mist humidifier and combines it with magical images for dream filled sleep. While the gentle cool mist eases cold & flu symptoms, the projector turns bedroom ceilings into a safari, sea or star-filled sky. The projector is independently controlled and can run without the mist whenever children want to spark their imaginations. It also accepts two Vicks Scent Pads for long lasting and soothing menthol vapors. You can purchase all Vicks products from the Vicks website or local retailers near you.